I joined the local Veterans of Foreign Wars in 2010 as a way to honor my father, Donald Payne who served in both World War II and the Korean Conflict. It’s been a wonderful and patriotic experience for me and I did a remodel of their web site and used a Content Management System called WordPress to build it. 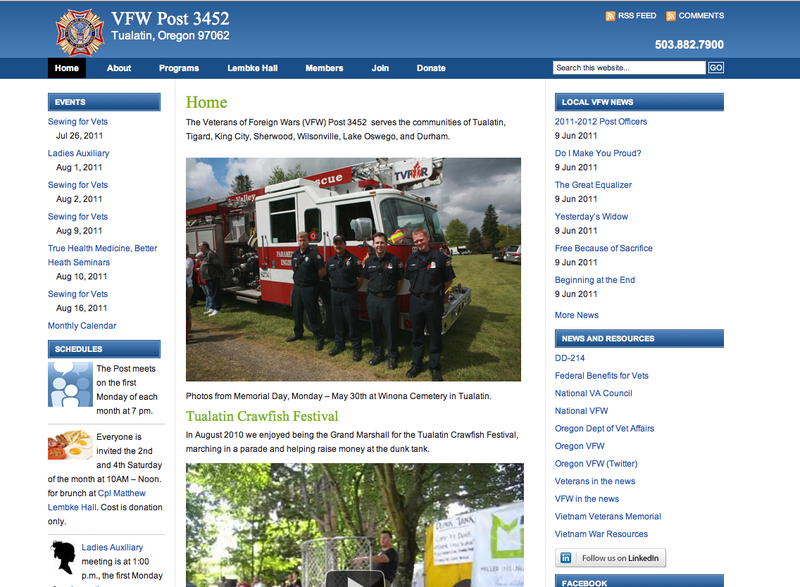 WordPress allows other volunteers to update the pages, events and blog. 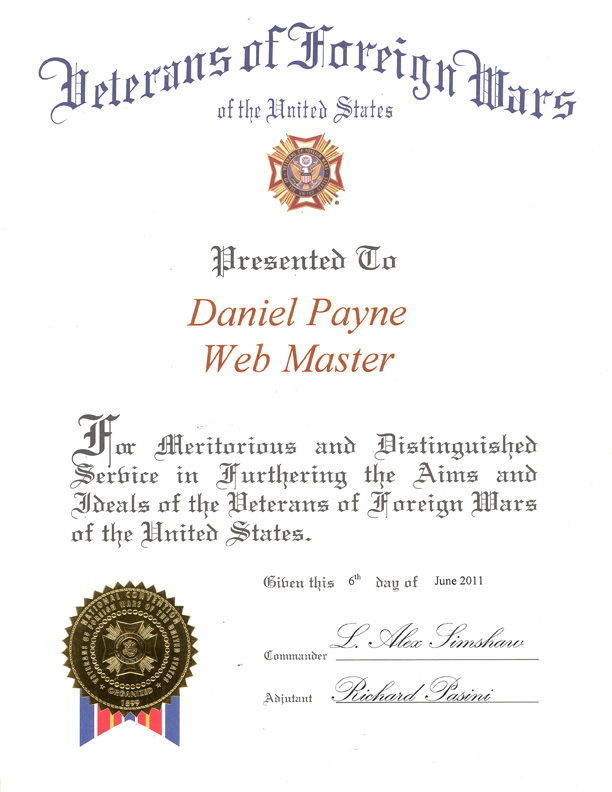 Meritorious and distinguished service as webmaster for VFW Post 3452. Awarded June 6, 2011.